I am happy to introduce my piano studio and Kindermusik studio in Ashland. 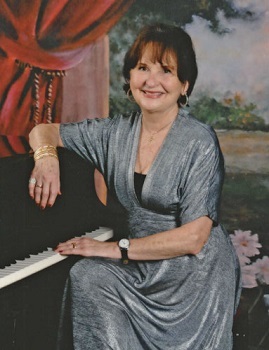 I offer piano instruction for all ages, children through adult and I offer music and movement Kindermusik classes for ages newborn to age seven. I have been teaching piano in my studio here and in California for over 37 years. I have been teaching Kindermusik classes for ten years. I know the many benefits and the enrichment that music adds to our lives and would love the opportunity to help make music an important part of your children’s lives. I have a bachelors degree in Fine Arts and Communications and a bachelors degree in Music. I am a member of the Oregon Music Teachers Association, a member of the National Music Teachers Association and a licensed Kindermusik educator. I am a member of the International Society of Music Education. I firmly believe in the Kindermusik philosophy regarding music for young children. Every parent is the child’s most important teacher. Music nurtures the child’s cognitive, social, language and physical development. Every child should experience the joy, fun and learning which music brings to life.